This quilt is 36" x 48"
This quilt is very easy to make. The patches on the tree are raw edge applique and the edges will fray when washed. A Green Charm pack is supplied for the patches and the background fabric is small white polka dot on light gray. This is great for a baby quilt or wall hanging. 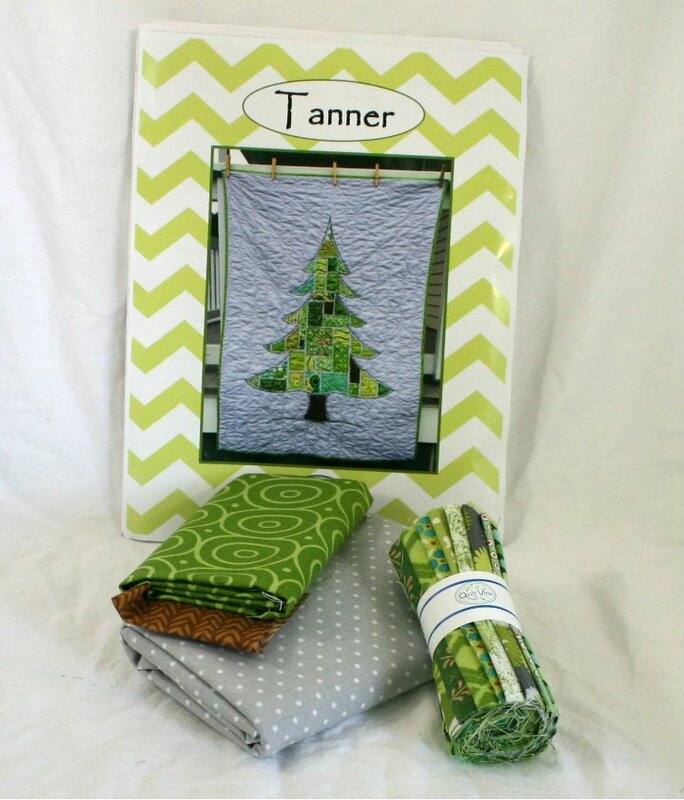 This is a great quilt to have at Christmas time. This detailed easy-to-read-pattern includes pictures and a full-sized pattern of the tree.